You have seen countless leaves in your lifetime but until you sit down and examine one and try to draw it accurately under a magnifying glass, can you truly claim to have looked at a leaf? 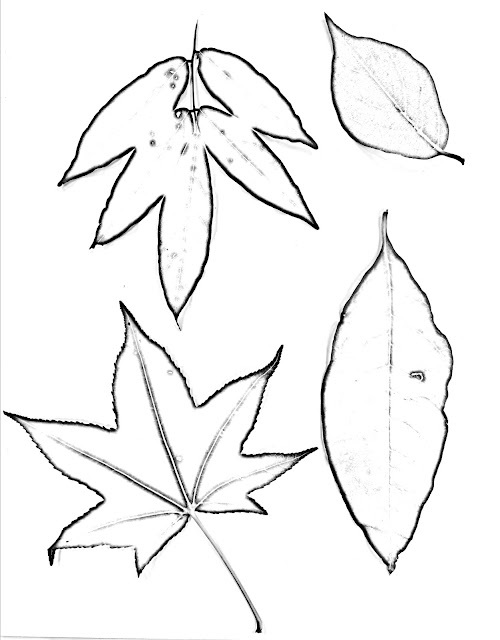 Learning how to draw means learning how to see. 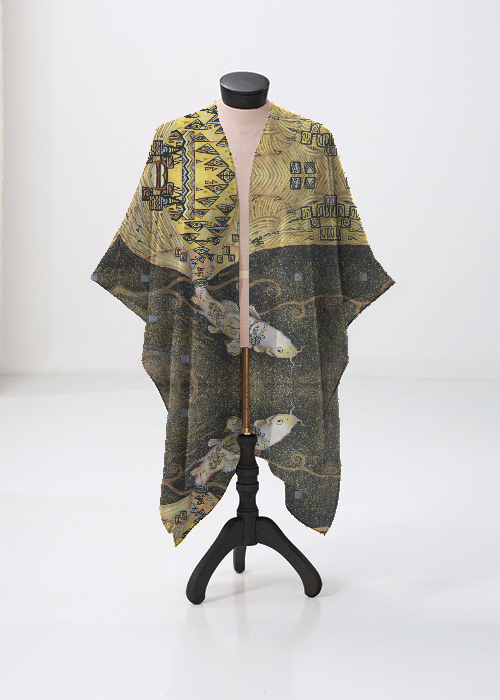 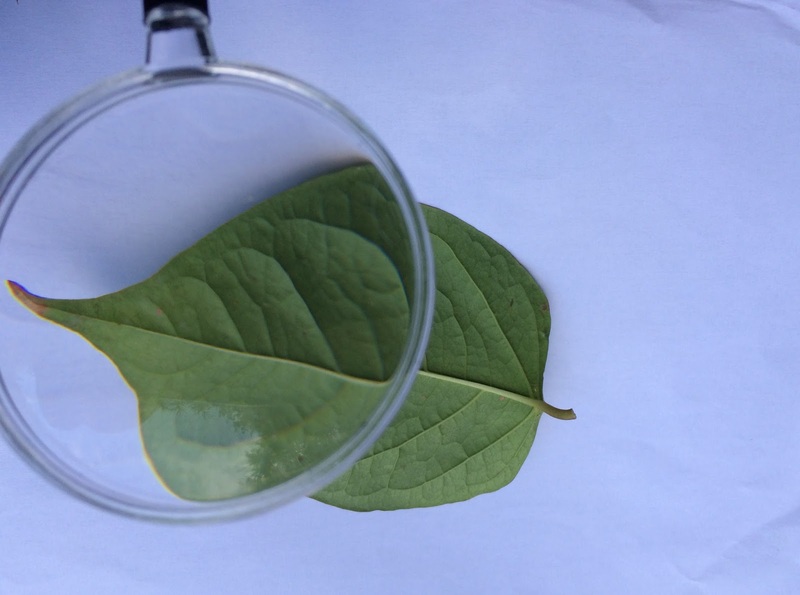 This project will help you to notice details that you have never seen before. 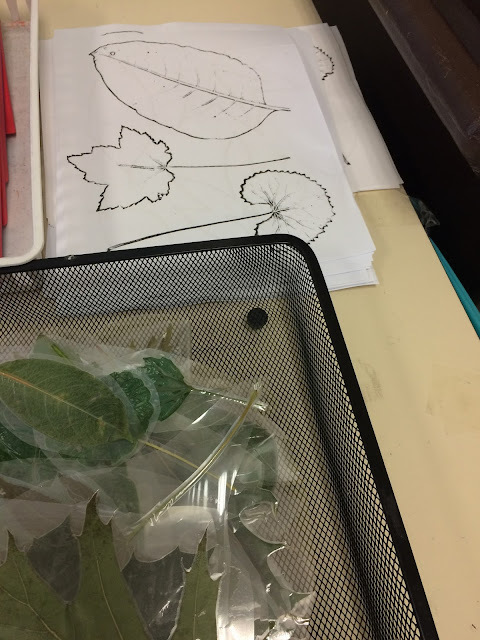 I work in a city school where it would be impractical for me to take my students outside to hunt for leaves. 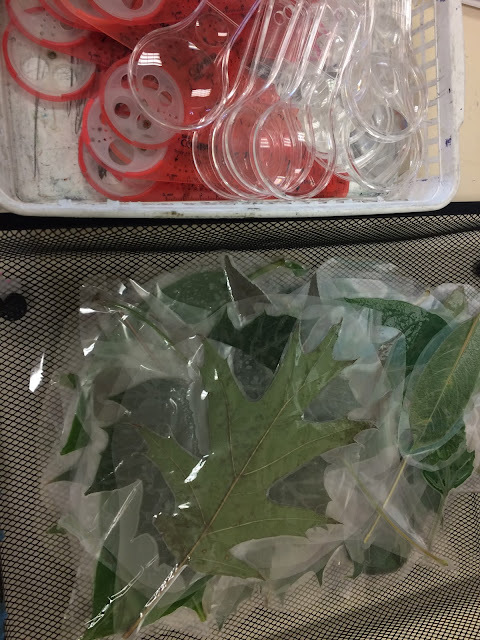 Instead, I picked up a good selection from the park before coming to class and ran them all through the school's laminating machine. 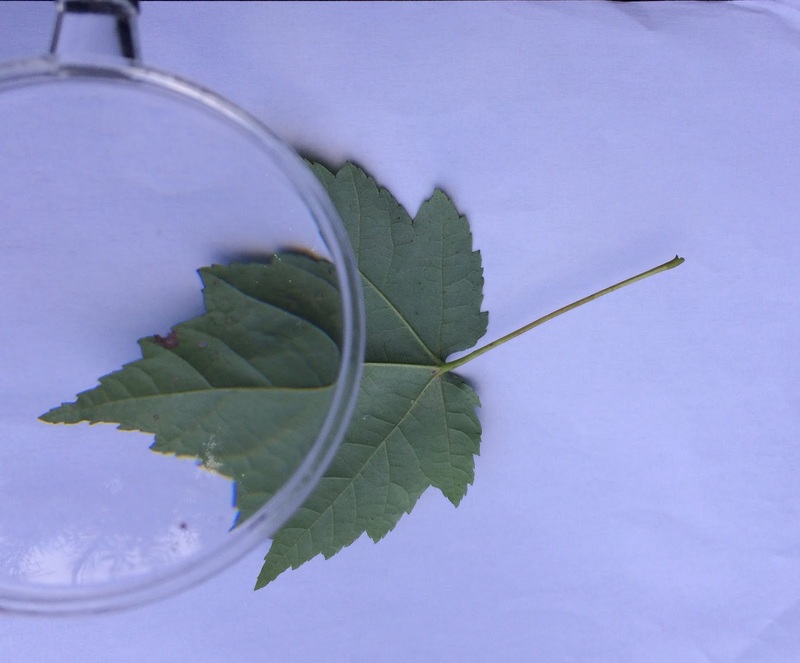 This works surprisingly well. 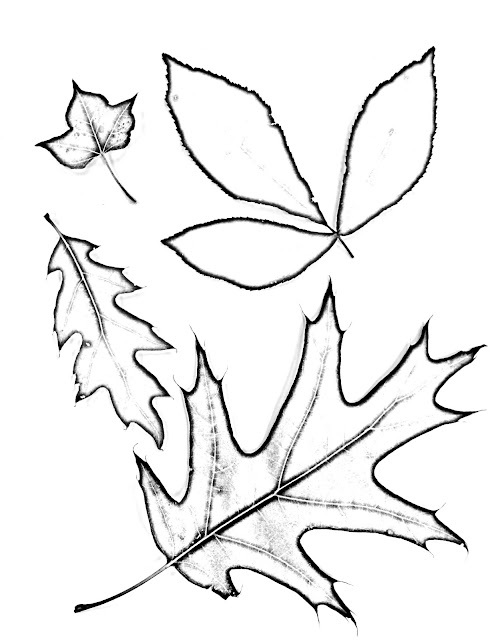 The last time I did this the leaves lasted for about five years. I used fresh leaves. It took them a few weeks to lose their color and become brittle. Take a magnifying glass and look at part of a leaf closely. 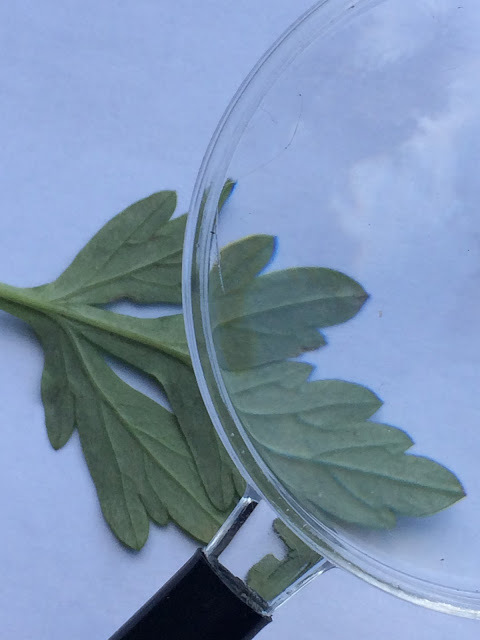 Notice the details and the veins. 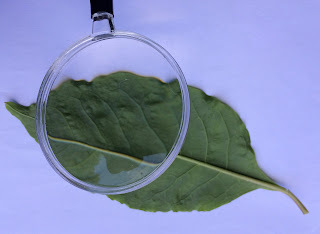 The part of the leaf that is magnified appears larger than the rest of the leaf, so the edges look like they do not match up. 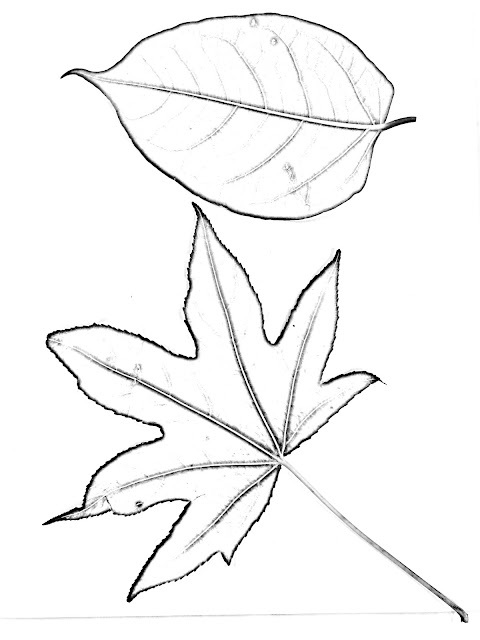 To draw your leaf, start out by drawing the stem and the central vein. 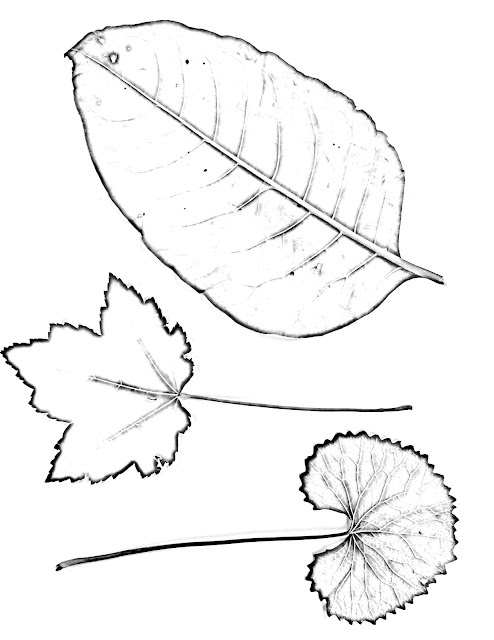 Next draw the smaller veins branching out from the main one. 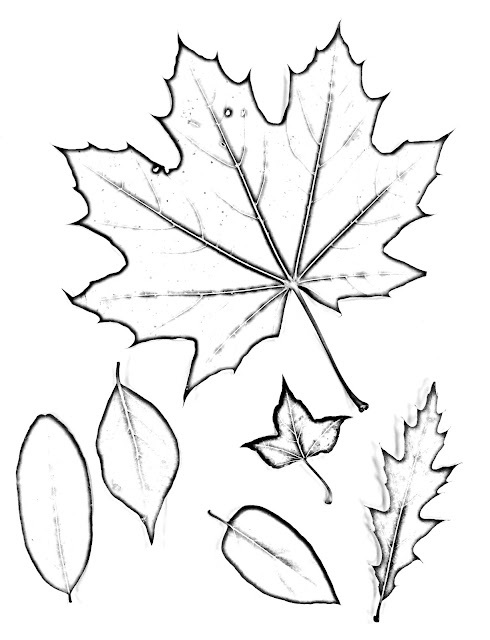 Then draw the outline of the leaf. 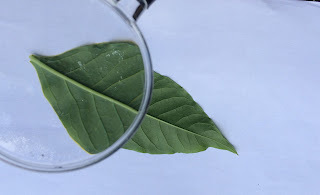 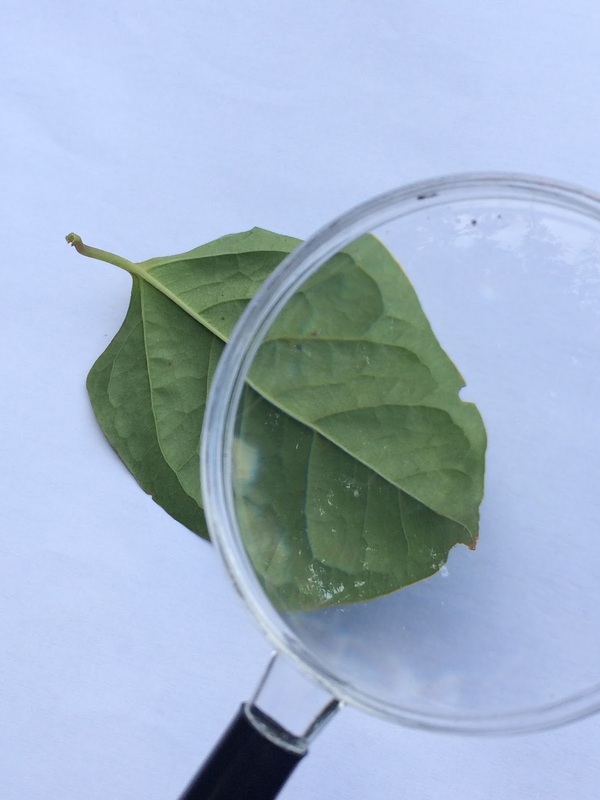 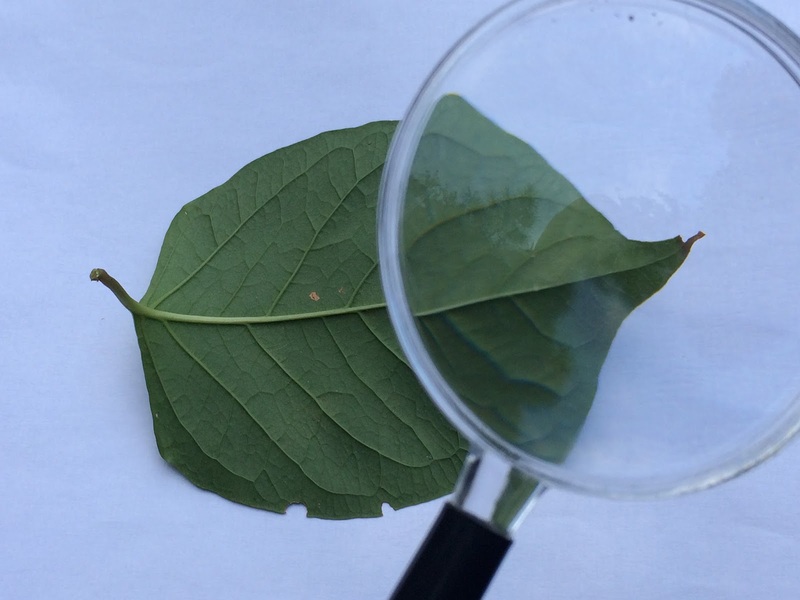 Use a compass to draw the magnifying glass covering part of your leaf. 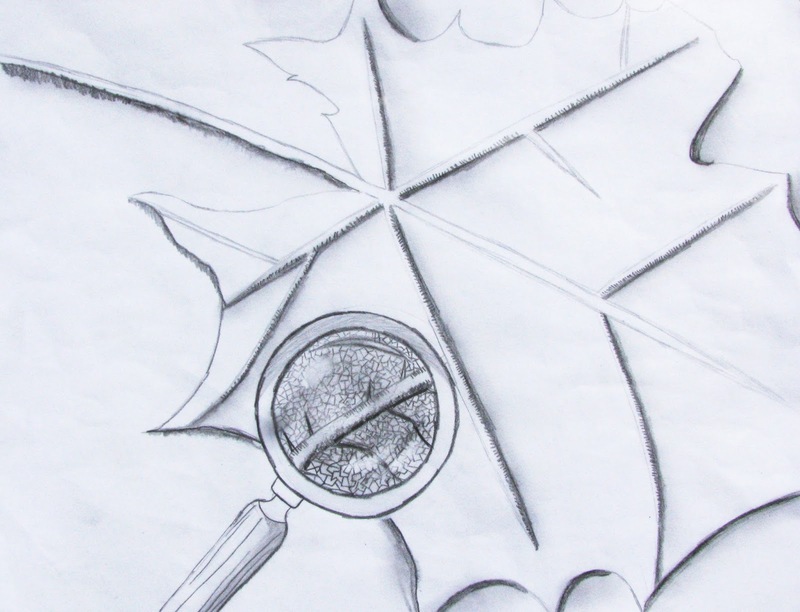 Erase the section of the leaf in your drawing that is under the magnifying glass and draw it larger so that the edges do not match up to the rest of the leaf. Now, look closely. 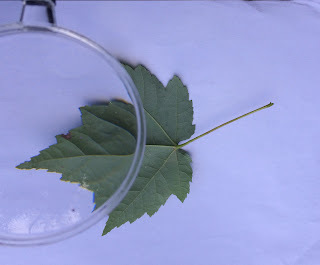 What do you see under the magnifying glass? 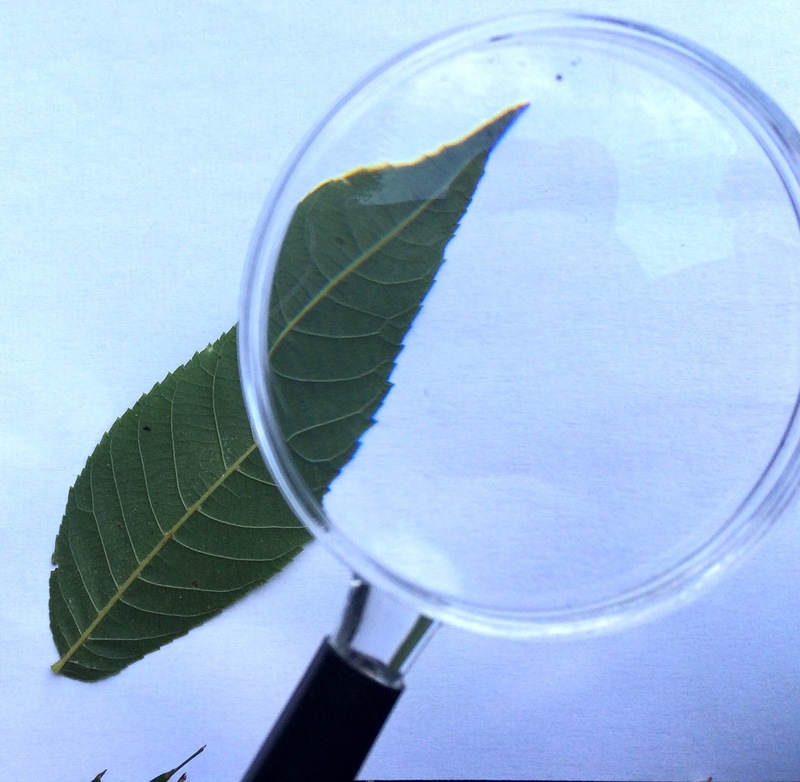 Be as detailed and observant as possible. 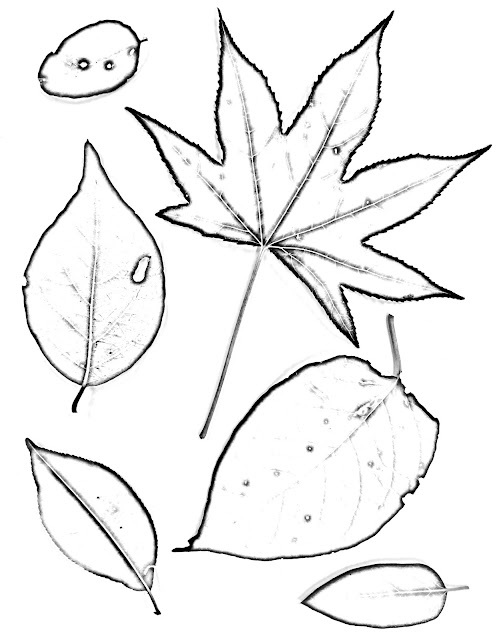 Draw all the veins and lines you can see. Use the side of the pencil or make a series of short lines next to each other to indicate where you see shadows. Blend the pencil with your finger and erase areas where you see highlights. 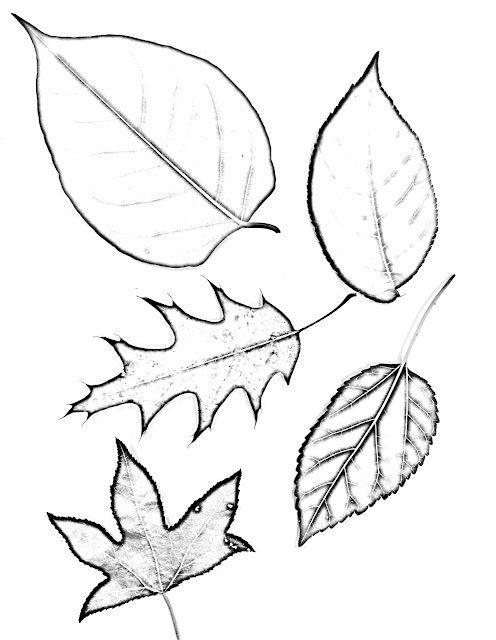 Try to make your drawing as realistic as possible. 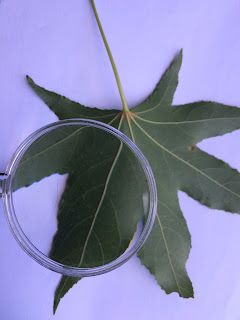 Copy the details of the worksheet at the end of this article to draw a realistic looking old fashioned magnifying glass. 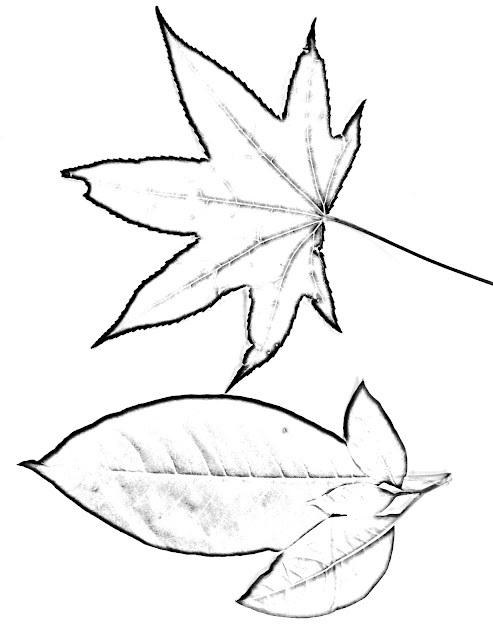 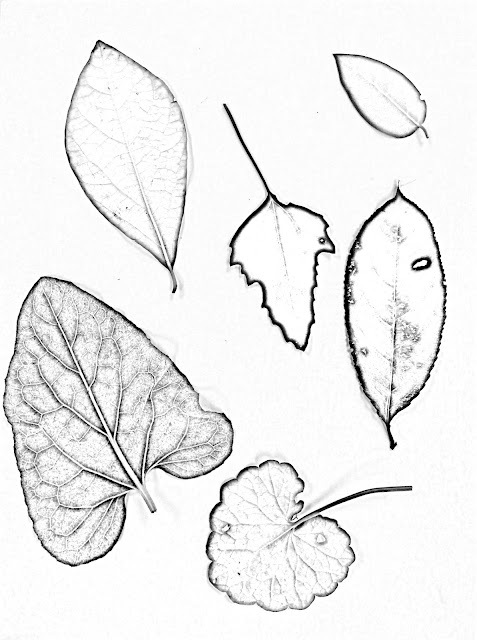 Add a slight shadow underneath the edge of your leaf to make your drawing look more three dimensional. 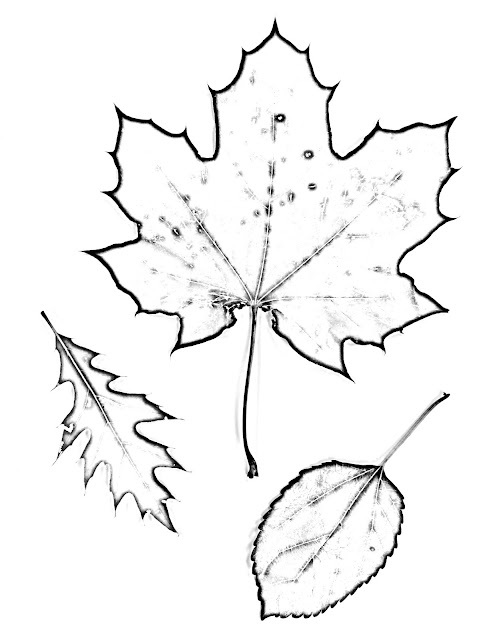 The objective of this lesson is to create beautiful artwork and to draw the viewers eye into a tiny world that not many people notice. 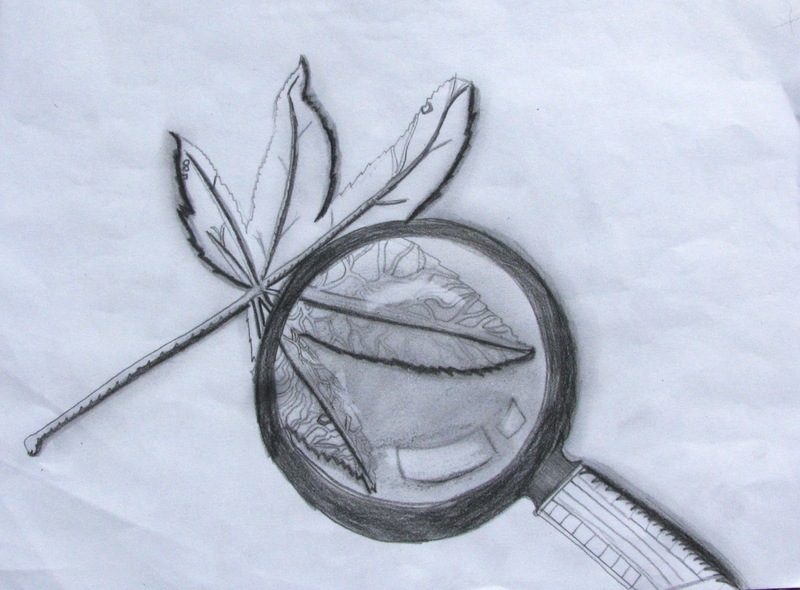 What other things can you examine closely and draw, using a magnifying glass? 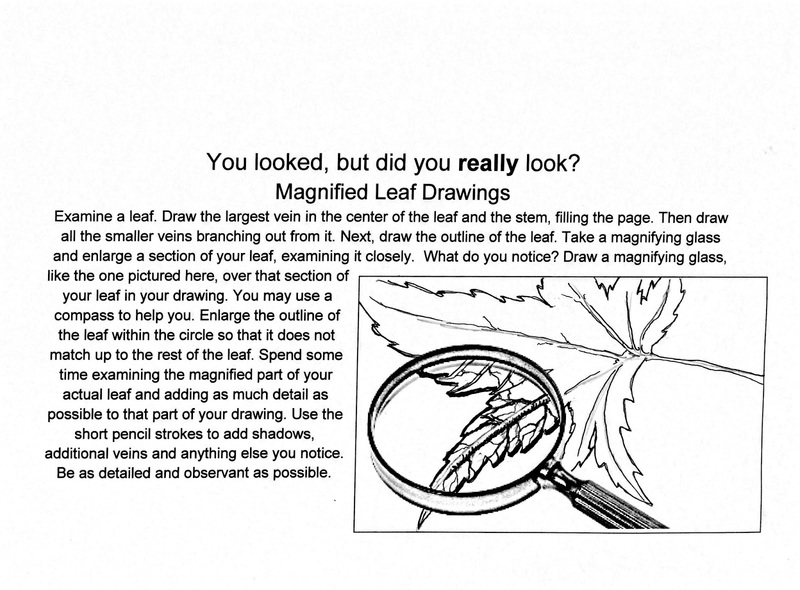 In March of 2017, School Arts Magazine published the magnified leaf drawing of my 7th grade student Warlyn Castillo on page 9 with this lesson on page 10.